Many companies are now implementing wellness challenges, initiatives and incentives in the workplace in an effort to improve employee health and reduce corporate costs. While these programs can actually become just an added expense for employers if they are not properly managed, a well designed corporate wellness program can have a significant, positive impact on a company in many ways. Don’t leave the success of your program to chance. To save time and money and ensure a worthwhile return on investment, call Wellworks For You to find out how we can help you plan, implement and manage the perfect wellness program for your company! ROI is expressed as a ratio and is read in the following manner. If your wellness program ROI is concluded to be 3:1, then you have saved your company $3 for every $1 spent. That is certainly a healthy return on investment when it comes to determining whether a program is worthwhile. Of course, like most investments, a wellness program can take some time to gain traction and begin producing trackable results. But once it is up and running, you’ll be glad you made the decision to implement a long term solution for saving money on healthcare costs! 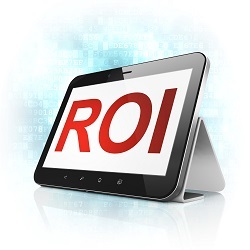 In What Areas is ROI Generated? You probably noticed in the equation above that the first input data that’s required is a calculation of “money saved as a result of the program. There are significant financial benefits for a company that implements a wellness program for employees. However, not all programs are equally as productive for your bottom line. In some cases, when these programs are poorly planned and not well managed, the bottom line of the ROI equation (money SPENT) ends up being larger than the top line (money SAVED). In order to avoid this issue and to ensure that your program produces positive results for your company, hire an experienced and dependable wellness management firm like Wellworks For You. Wellworks For You uses advanced reporting techniques to track your program each step of the way. You’ll always have access to the metrics you need to ensure that your program is succeeding. Don’t leave your wellness program ROI up to chance. Get the help you need to make your investment worthwhile!